Nick Kilby was a World War I ace, a hero, now an airmail pilot, a man who could risk his life, but never risk his heart. Victoria Robinson is a young nurse with the skill and the heart to care for the wounded soldiers on the front lines. After witnessing the horrors of war, it is in her hometown, that she learns of a deeper pain and injustice encompassing the lives of the women of Hagers Lake. After the War, hero-pilots were an unnecessary commodity. There were few avenues in which to pursue flying, and most of them were highly dangerous. While it wasn?t as glamorous, flying the mail for the U.S. Postal Service wasn?t any less deadly. The death rate among the Post Office pilots was one in six. In dangerous weather, flying refitted World War I fighters, these men risked their lives, and in the process, developed many of the innovations in aviation still in use today. While at a terrible cost, the War had also seen innovations in medicine and treatment, innovations whose scope was expanding on the homefront. It was Victoria?s hope to bring these new ideas to her hometown. However, old ways and old ways of thinking die hard. Reluctantly, both people become crusaders and pioneers in a time and era when progress and innovation are the bywords of the day. The maelstrom of issues and events in post-WWI America bring together two people who confront life from opposite emotional poles. Through crisis, they forge new meaning for their lives. Finally, together, Kilby and Victoria face a destiny that will alter their hearts and their lives and change the face of America. 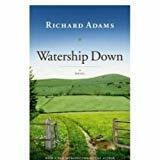 While the events and characters are strictly the author?s invention, this work of fiction is based on historical fact. The story would appeal to anyone who enjoys historical romance, a story that reveals the danger and adventure, in the sky and on the ground, in the era when flight was born.